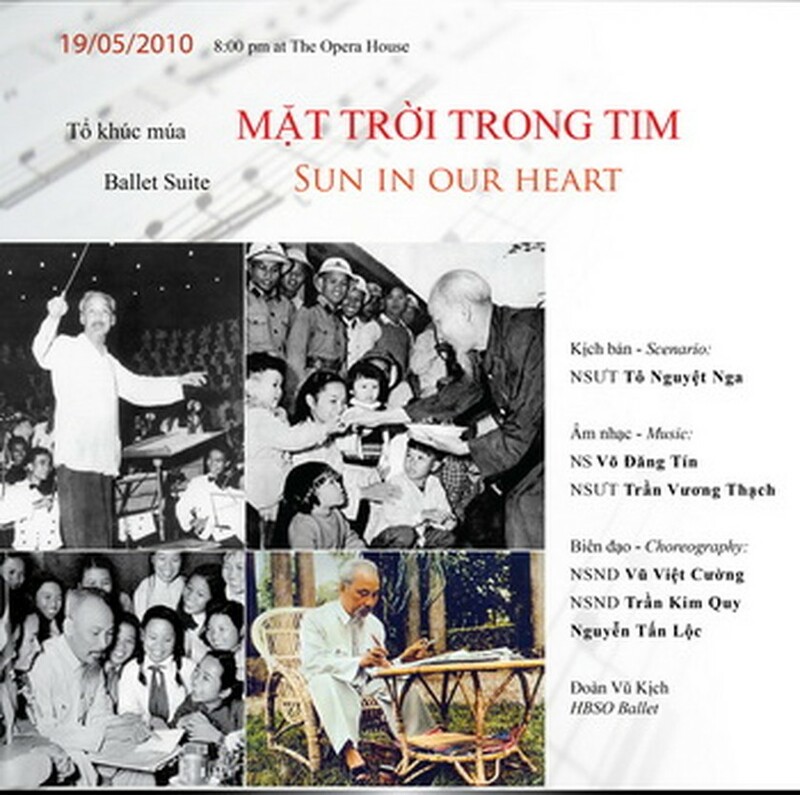 In the heat of the celebration of the late President Ho Chi Minh’s 120th birthday, the HCMC Ballet Symphony Orchestra and Opera (HBSO) will present a special ballet suite: “Sun in my heart” featuring the brave story of Uncle Ho’s journey to bring peace and sovereignty to his country. The performance will take place on Ho Chi Minh’s birthday, May 19. The play begins with the historical background of early 20th century Vietnam, when his people suffered political oppression and economic poverty under French rule. The tremendous pain of his compatriots truly touched the heart of the burgeoning revolutionary, Nguyen Tat Thanh. The suffering caused by the exploitation of his people motivated the young man leave his homeland in order to study abroad, with the aim of finding ways to release his people from the shackles of colonialism and bring peace to Vietnam. Next, the program dramatically portrays how Ho Chi Minh and the Vietnamese Army triumphed over their French enemies. Millions of Vietnamese proudly gathered to hear the Vietnam Declaration of Independence proclaimed by President Ho Chi Minh. It was in this moment that Democratic Republic of Vietnam was born. However, the celebratory feeling ends quickly as tear-jerking scenes ensue, as the play chronicles the horrible wars that occurred after 1945. Dark skies and cold-blooded barbed wire fences capture the brutality of this period. Audiences will witness the stage fill with exploding bombs that ravage Vietnamese towns and villages. These scenes of war depicting the murder of civilians are likely to leave audiences spellbound. The suite ends with the joyful sounds that accompanied the day when Vietnam won back her independence. The play finishes with images of the Vietnamese people embracing victory and each other: heart to heart, hand in hand, north and south, everybody united by their love and admiration for the late President Ho Chi Minh. The script, written by Meritorious Artist To Nguyet Nga, won first prize at the composing competition “Study and follow Uncle Ho’s example” and later was staged by People’s Artist Vu Viet Cuong. The trio: Vu Viet Cuong, Tran Kim Quy and Nguyen Tan Loc are the production’s choreographers, their sequences are performed by the HBSO Ballet. Composer Vo Dang Tin and HBSO’s Chief Conductor Tran Vuong Thach prepared the show’s musical score. The performance will start at 8pm at the HCMC District 1’s Opera House. 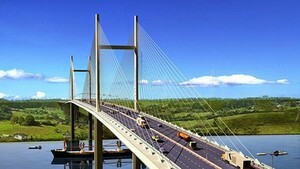 Tickets are available at the House’s ticket office and cost from VND100,000 (US$5) to VND200,000 ($10). Free delivery is offered to any booking via the hotline: (848-08)3823 7419.